For savvy marketers, this comes as no surprise. 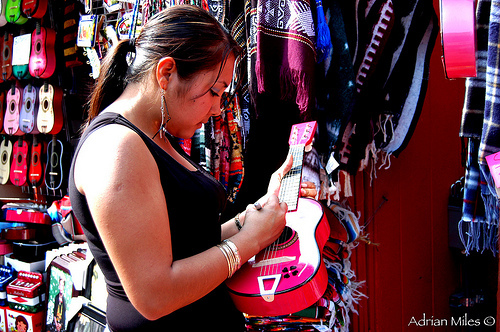 The Hispanic market is a unique population segment with the potential to impact a variety of industries. Why wait for census data? The time to connect with Latinos is now. Just last year, the top 500 advertisers allocated 5.4 percent of their budgets to connect with Hispanic consumers, according to the Association of Hispanic Advertising Agencies. The wave of this specific spending focus began in 2007, when Hispanic ad dollars hovered close to 5.6 percent. Since then, a Spanish wave has washed over QSR marketing schemes. Major players including Wendy’s and Burger King have launched Hispanic-specific campaigns, Baskin-Robbins created a new role to head up the company’s U.S. Hispanic marketing efforts, and Carl’s Jr. developed a format to integrate the chain’s products into prime-time lineups of Univision and TeleFutura affiliates. Among the best marketers for the Hispanic demographic – as acknowledged by the AHAA – are El Pollo Loco, Domino's Pizza and McDonald's. McDonald’s even got into the mobile marketing game early, launching a text message ad campaign geared toward the market in 2007. Read the full article on Hispanic marketing strategies. Join us on Facebook or Twitter for more Hispanic market insights. There's been a recent explosion of activity across various media outlets about an individual with a 'golden voice'. Someone posted a video of this man and boom! it took off from there. If an individual standing on the corner has this kind of opportunity...what kind of opportunities and stories do you think the Latinosphere has in store? Golden content is simplistic, moving, and original. Today's bloggers and content creators have an opportunity to share their own story. The key is to make sharing your story as easy as possible. Engagement begins with knowing your target audience and bringing them something of value. A mission-driven approach to driving content creation and audience awareness can lead to lasting results. The explosion of social media has created a tidal wave of activity and Latinos are the driving force behind this momentum. Countless articles and blog posts are springing up providing today's interested parties with a unique perspective into how Latinos are using social media to lead, influence, and foster change. However, as researchers and opportunists, we must move beyond this data and into the arena of action. The validation of the U.S. Hispanic market is expanding as are numerous opportunities to innovate and make full use of our resources, knowledge, and capabilities. Enter the dynamic element of leverage. 3. power or ability to act or to influence people, events, decisions, etc. ; sway: Being the only industry in town gave the company considerable leverage in its union negotiations. 4. the use of a small initial investment, credit, or borrowed funds to gain a very high return in relation to one's investment, to control a much larger investment, or to reduce one's own liability for any loss. The biggest lesson in argumentation and persuasive writing (which is indeed a big part of advertising and public relations) is to use supporting material. Armed with tons of supporting material validating the size, impact, and sheer potential for return on investment in the Hispanic market, we must move into the dynamic arena of action and innovation. Rather than participate in a continual spiral of information exchange and data sharing, we must embark on opportunities to leverage our efforts and focus on areas to change the game no matter what our 'game' happens to be. Innovate. Move beyond research into the realm of possibility and opportunity. Today's Latinos comprise a dynamic population segment making it somewhat difficult to keep up on important trends and relevant market activity. However, there is an increasing collection of great blogs and media outlets providing relevant content and quality insights into the fastest growing and youngest demographic in the United States. MediaPost Communications is an integrated publishing and content company whose mission is to provide a complete array of resources for media, marketing and advertising professionals. Engage:Hispanics proves as a reliable resource for today's professional interested in the Hispanic market. Online destination providing news, information, and research about Hispanic marketing. One of many LatinVision Media Inc. business portals targeting US Hispanic and Latin American professionals, entrepreneurs, executives and business owners in small and medium-sized companies. A great resource for Hispanic public relations, social media, news and views. Want to know what today's brands are doing to reach Latinos? This blog has your answers. Founded by Multicultural PR veterans Manny Ruiz and Angela Sustaita-Ruiz. Powered by two very experienced and dynamic Hispanic market insiders, Giovanni Rodriguez and Gustavo Razzetti, this blog provides trends, insights, and practical tips on how to reach, engage, and profit by marketing to Latinos. Individuals can learn about cultural nuances and their impact on the way this audience behaves online, the roles of bicultural Latinos as online influencers, how to deal with language barriers (English, Spanish, Spanglish), and differences and similarities between Latinos and general market consumers. Each of the above outlets provide tremendous insights into the Hispanic market and the truth of the matter is that there are many great online destinations offering quality content. Looking forward...Hispanic market in 2011. The past year has seen some tremendous progress in terms of the growing Hispanic market and its influence. Advertisers and organizations of all types are taking notice. 2010 has truly been the year of explosive influence and true validation. However, let's look beyond what was and explore the arena of what will and can be in 2011. Census results, blog posts, and various forms of media are confirming the obvious. The Hispanic market is a unique population segment with tremendous potential for growth, innovation, exploration, and unique opportunities. As more data becomes available and shared across various outlets, the fact remains that the Hispanic market is legit in terms of spending power, population growth, and impact. Hispanics are continuously over indexing in technology use and online participation. Today's conversational tools and communication silos are playing an increased role in the exponential growth of the Hispanic market. The massive size of the Hispanic market and its continued influence across all industries and sectors make it important to take advantage of every opportunity to build resonance and win the trust of Latinos everywhere, especially online. Increased participation in social media equals countless opportunities to capture the attention and interest of this growing market across social networks, micro-blogs, chat rooms, and online media. If anything, the growth of twitter confirms that there is room for tools that reinvent the concept and manner through which today's Latinos communicate. Efforts to capitalize on these trends will indeed provide dividends. Progress is not a myth and the need for true ambition is prevalent therefore providing substance and traction to any effort that offers Latinos a channel for expression, continued influence, leadership development, educational attainment, and beyond.